One of the best parts of the new semester is shopping for all of the geeky gear that’s available for students (and teachers!) Here are 15 suggestions of truly geeky back to school supplies. 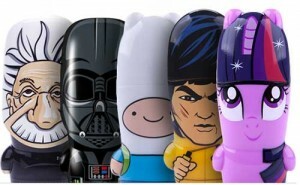 Every student needs a bag that shows their personality and pop culture preferences and these are all great choices. 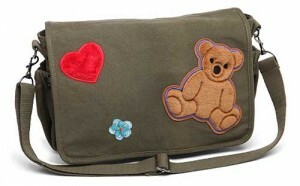 But if you don’t see one you like, check out 40+ more geeky bags here! 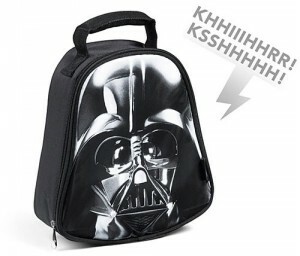 Represent the Dark Side with this Sith Lord lunch bag which makes Vader’s signature sound effect. 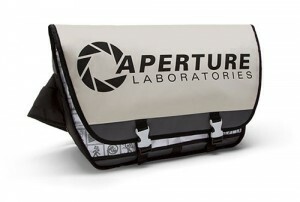 If you’re a Portal fan, this Aperture Laboratories sling bag is perfect to carry all of your testing supplies, I mean school books! With two side pockets, two pockets under the front flap, and four small pockets that line the interior, this is the best messenger bag in the ‘Verse! Based on Kaylee’s coveralls in Firefly. The hoodie is a fundamental item in every student’s wardrobe. And there are now many geeky creations to choose from. 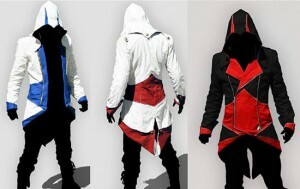 Gamer geeks everywhere will want one of these Connor Kenway jacket hoodies. Available in 3 different colors, the garment is not guaranteed to increase stealth or stamina. 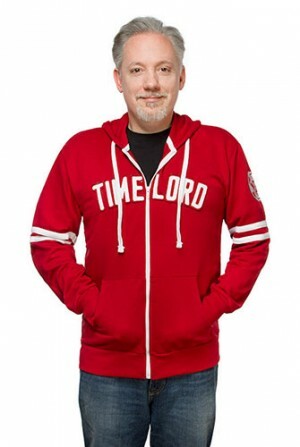 Billed as “What the High Council wears on casual Fridays”, this stylish hoodie is sure to impress Dr. Who fans everywhere. 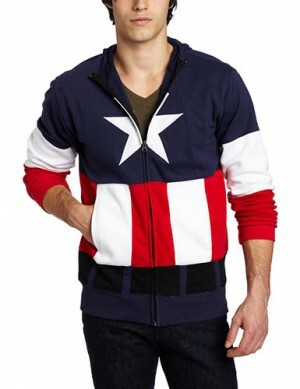 Marvel fans assemble for this stylish yet comfortable hoodie jacket! 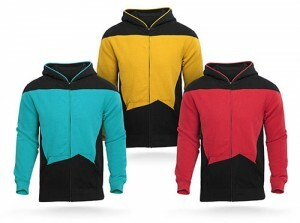 We can’t have a Star Wars-inspired item on this list without also mentioning these amazing Star Trek: The Next Generation hoodies. Make it so! Mimoco creates USB flash drives inspired by pop culture, artists, or legendary figures such as Albert Einstein. Sizes range between 8GB – 64 GB for these adorable drives. 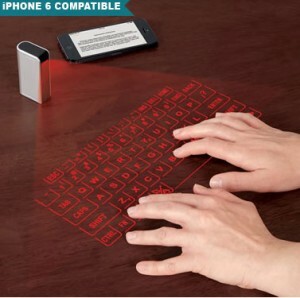 This futuristic Bluetooth device projects a full-size keyboard onto any flat surface. It will connect to most any Bluetooth-enabled device including iPad, iPhone and most laptops. Who eats more ramen than students? The answer is no one!!! 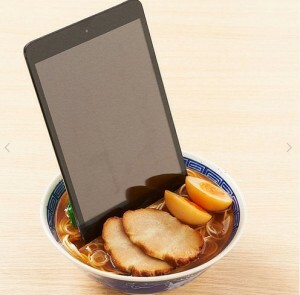 Which is why this iPad and iPhone dock made of a bowl of ramen is the perfect addition to any student’s school supplies. 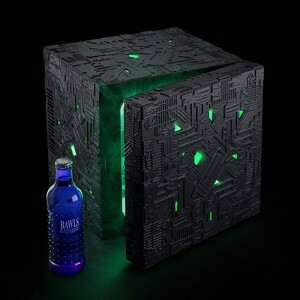 The perfect appliance for any dorm room, this Borg Cube will cool all of your food collective-ly! As a big Star Trek fan, I personally will be ordering one of these for my own home! For the space fan who wants to get a good night’s sleep. 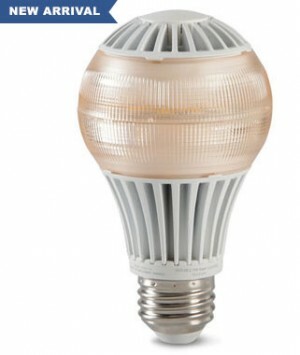 This hi-tech bulb is used by NASA to help astronauts sleep in space by encouraging the production of melatonin. 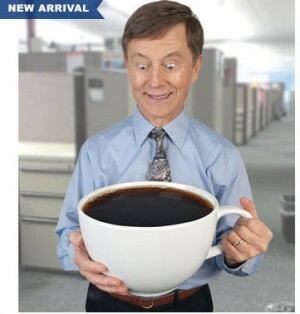 And for those times when you don’t want to sleep, this giant coffee cup that holds 20 servings is guaranteed to keep you up! Great for those all-night study sessions!!! What’s guaranteed to wake up students first thing in the morning? 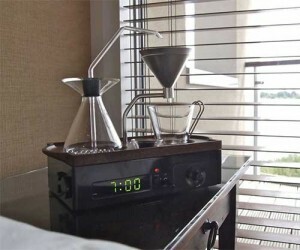 Coffee being brewed while their alarm clock is going off!! This one is genius! Next PostWhich Wearable Technology Will You Be Adopting?